Everything is in bloom as you can see the fleabane, hollyhocks, and milkweed are open for business. All of these nectars will end up in our honey. Chevre, Mozzarella, and are working on a French Brie. 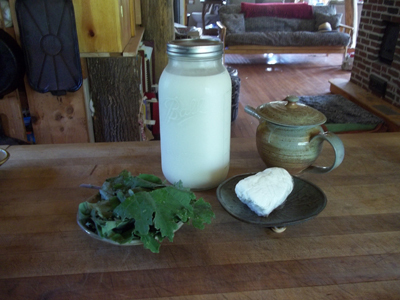 Chevre is a very easy cheese to make and we freeze it for the winter. 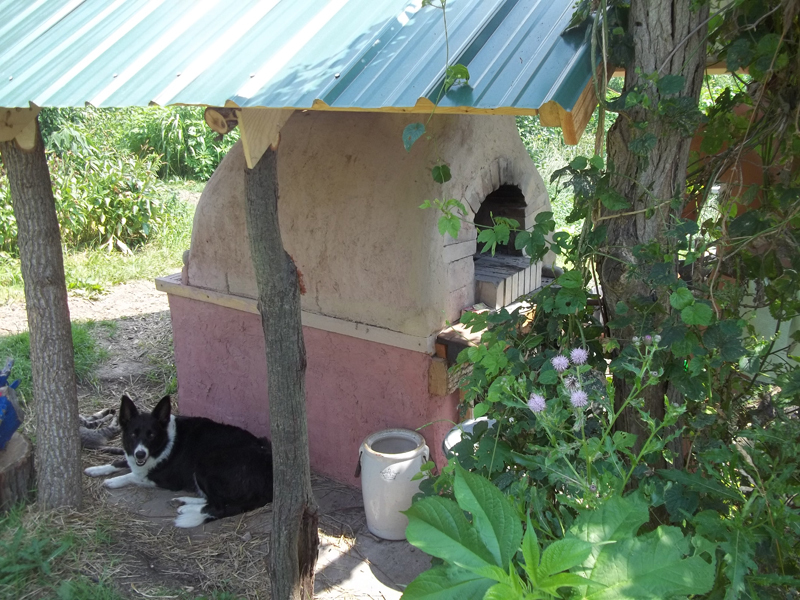 Jon has rebuilt our bread/pizza oven and has gotten a couple requests to build ovens for others. Classes are happening a couple spots left in July 12 pocket book class, July 18 &/or 19 suminagashi on handmade papers and paste papers, July 26 stenciled papers see website for all July course details. natural bogs and woodland focusing on root and tree trunks as they hold fast to the precarious wet and sandy dunes – recording inspiration writings and drawings coming back into the studio to create images with paper fiber and printmaking. 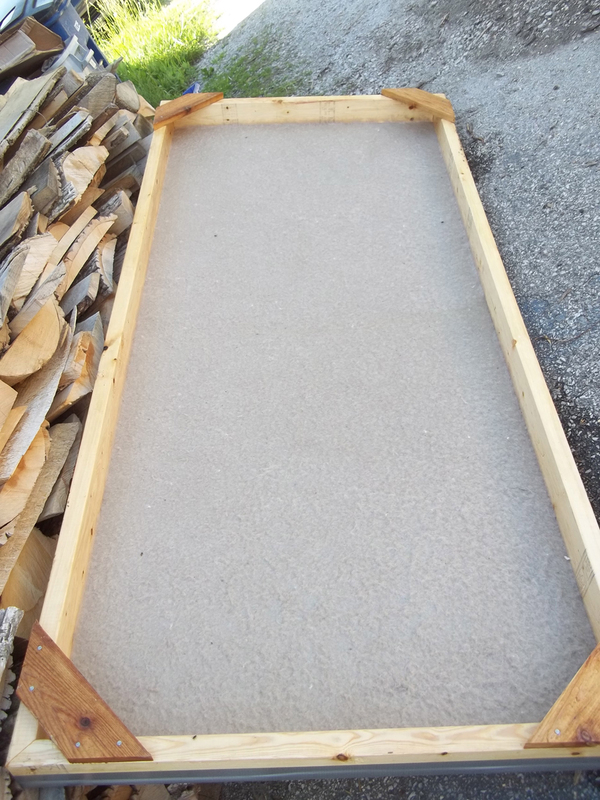 The pieces will be a 4’ x 6’. 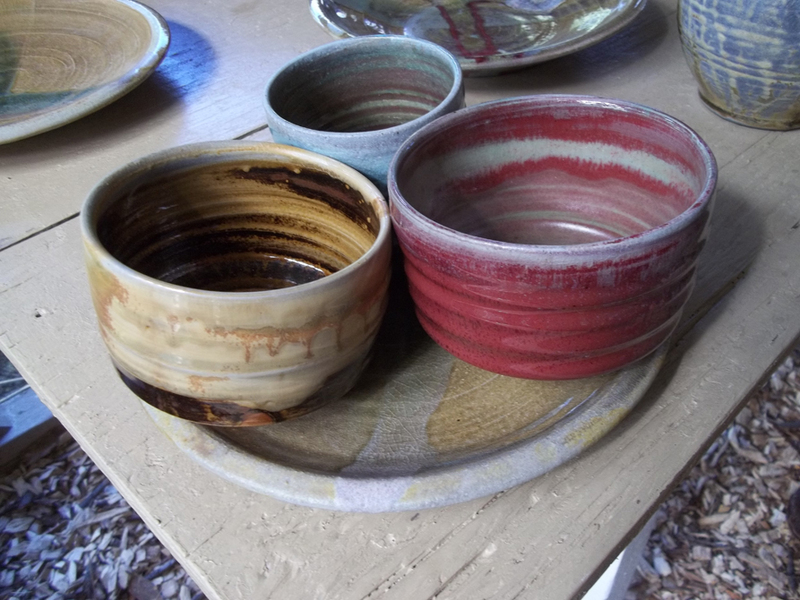 Jon received an Indiana Arts Commission grant allowing him to study and create sustainable wood and vegetable waste oil firing techniques. He is working on a drip system specific to his kiln. 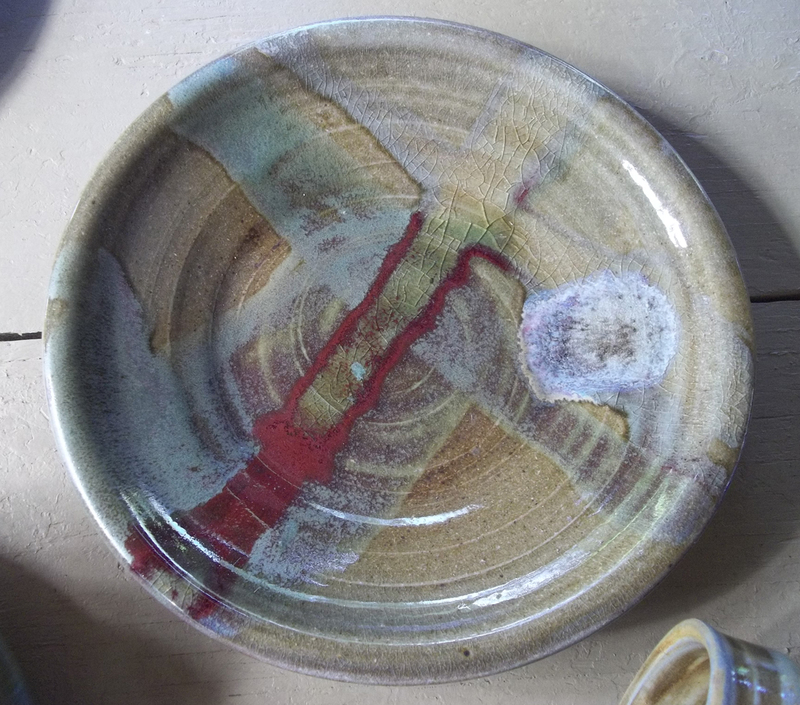 These lovely pieces are from current firing. He is working on new sculpture and designing new teapots.